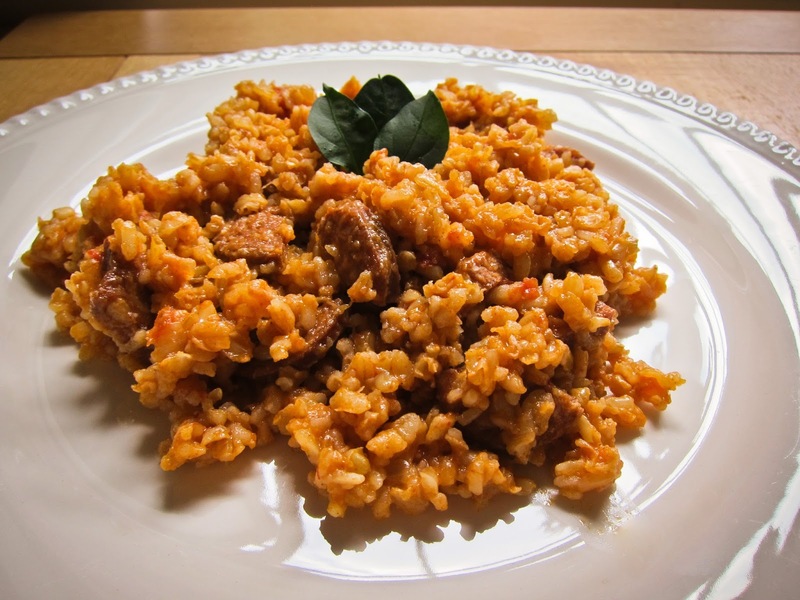 Living in California for years, I got to try different Jambalaya recipes. Each one of them was delicious. My recipe, however is with brown rice. I rarely use brown rice, but I believe in this case it makes the meal much tastier than white rice would do. - Place the butter in a pot and sauté the chorizo sausage on medium heat. - Add paprika, cumin, and cajun seasoning and sauté for 2-3 minutes. - Add the tomatoes along with the bay leaf, onion, garlic, chillis, salt and pepper. Sauté for a few minutes. - Add the rice and give it a stir. - Pour in the chicken broth. Bring to a simmer, turn down the heat to low, cover the pot and cook for 55min. Tip: I am using brown rice, hence cooking it for 55min. If you use regular white rice, it will take 15-20min.